VAC has raced and tested parts on the E21 chassis for 20 years. Our Big Brake Kits have been designed for and tested for street or track use, including competition. VAC kits use the newly improved excellent Wilwood calipers. 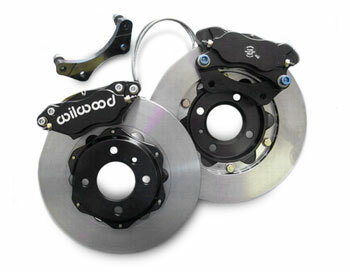 We chose Wilwood calipers because of their proven performance on our own race cars and all of our other kits. Current price valid for limited time only! From jan richardson of Sequim, Washington on 11/2/2009 .